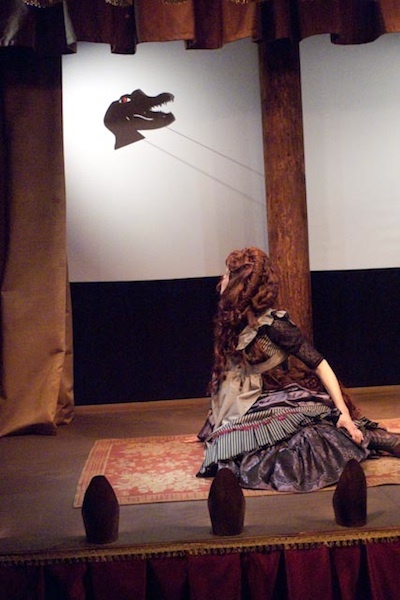 A Slight Headache premiered in March 2009 at the South Street Seaport’s Melville Gallery. 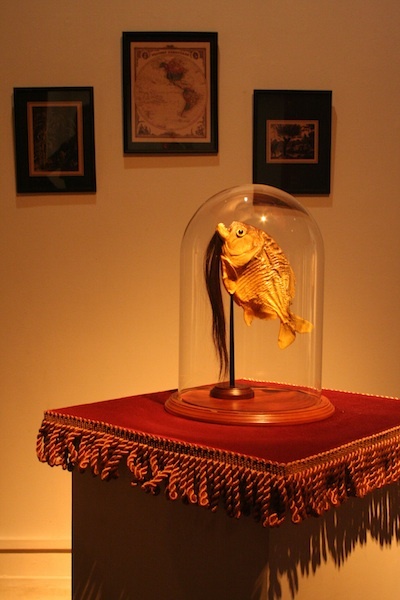 The performance ran for eighteen shows from March 20th through April 19th with the installation/cabinet of curiosities open to the public four days a week. 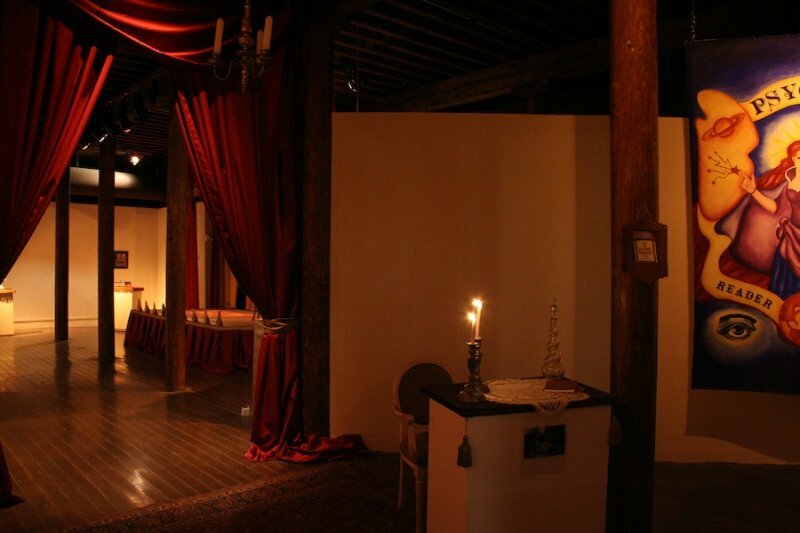 The Melville Gallery of the South Street Seaport Museum was an ideal and evocative location for this production because the neighborhood was populated with many Dime Museums during the 19th century; P.T. Barnum’s American Museum, located at the corner of Broadway and Ann Street from 1841 to 1865, being the most famous among them. “A Slight Headache” was conceived written and produced by Alyson Pou and made possible by Lower Manhattan Cultural Council’s Swing Space program, which was created with lead support from the September 11th Fund. Project space at Melville Gallery was generously donated by the South Street Seaport Museum. A SLIGHT HEADACHE performance at South Street Seaport Museum, March 2009 NYC. A SLIGHT HEADACHE- Tour of Curiosities 2009 Performance/ Installation at South Street Seaport Museum. 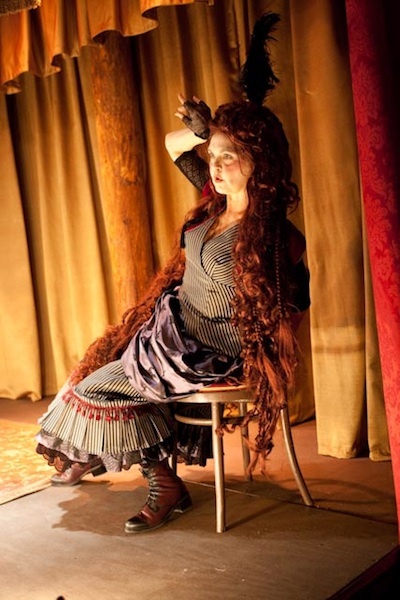 Click above to view artist and photographer Jim Moore's two part interview with Alyson Pou about the process of creating "A Slight Headache" and her historical research into 19th century medical practices, freakery, anatomy museums, and melodrama. 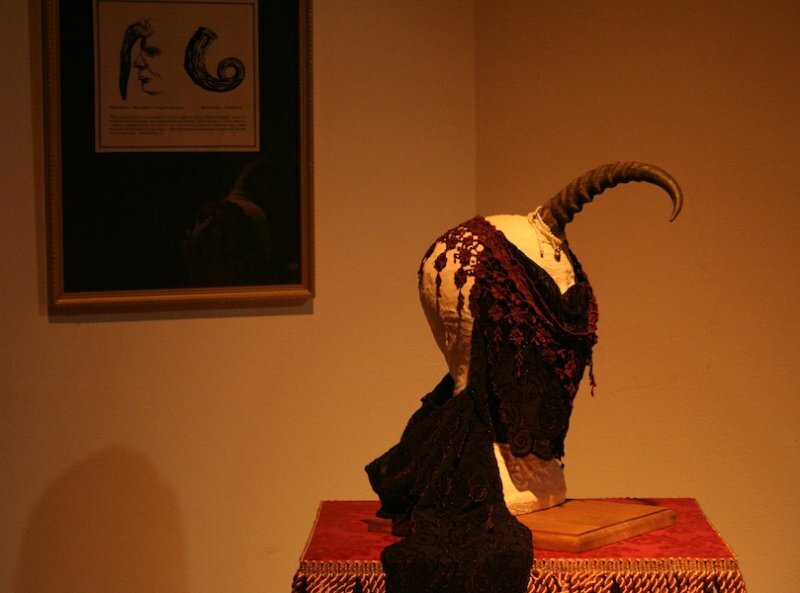 The script, costume, and installation of “A Slight Headache” were developed in part during residencies at the Virginia Center for the Creative Arts, and an artist’s research fellowship at the American Antiquarian Society, Worchester, MA. In 2006, Voice and Vision Theatre awarded Pou one of five ENVISION professional playwright residencies at Bard College. 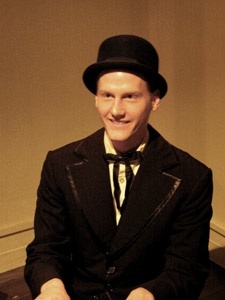 Additionally, “A Slight Headache” has been performed as a work-in-progress at Dixon Place, Bowery Poetry Project, Mulberry Street Theatre, Kraine Theatre, Women’s Studio Center, Work Space Gallery in NYC and the Metropolitan Club, Washington DC. Click here to view project timeline narrative. "AS I HAVE GROWN AND CHANGED SO HAS THIS PROJECT. IT HAS BEEN AN ALMOST NINE YEAR LEARNING ADVENTURE AND THE PROCESS HAS BEEN JUST AS IMPORTANT AS THE PRODUCT." Set in a time of great transition and change in Medicine, Science, and Entertainment…. A Slight Headache is set in the 1870’s because that was a time of great transition and change in Medicine, Science, Technology and Entertainment. 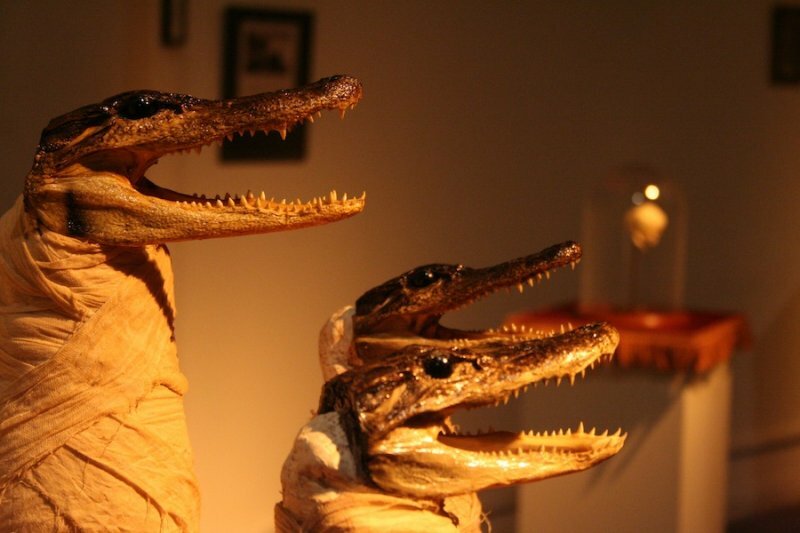 The installation and performance aim to transport audiences back to a time when “the wonders of nature, the works of man” were displayed for profit with amazing theatricality. 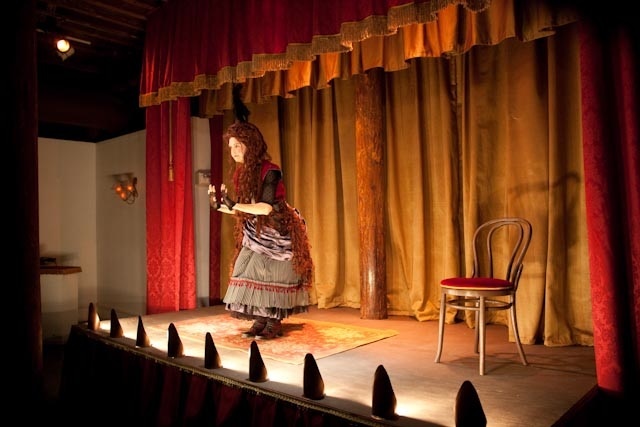 The neighborhood of the South Street Seaport Museum is a provocative location for this production because it was populated with many Anatomy Museums and Dime Museums during the 19th century. P.T. Barnum’s American Museum, located at the corner of Broadway and Ann Street from 1841 to 1865, is the most famous among them. During the second half of the 19th century medical practice as we know it today was just being developed. Miracle cures, medicine shows, scientific demonstrations, and exhibitions of such things as laughing gas, x-rays and electricity were all taken seriously. Consider, for example, phrenology, the diagnosis of personality based on the shape and lumps of the head. This practice was ultimately inaccurate and eventually degenerated to the status of parlor entertainment. However, its theory and practice was also the beginning of modern neuroscience and psychology. Chemistry and Anatomy were considered to be the most progressive topics of study in Medicine and Science. Anesthesia and antiseptic methods in the operating room were just being introduced but entering a hospital or undergoing surgery were still very risky for any patient. Dissection was thought to be a potent method of producing and disseminating knowledge. “The scalpel is the highest power to which you can appeal…” A large market grew for anatomical spectacles – public lectures attracted thousands and Anatomical Museums sprang up in cities around the country. 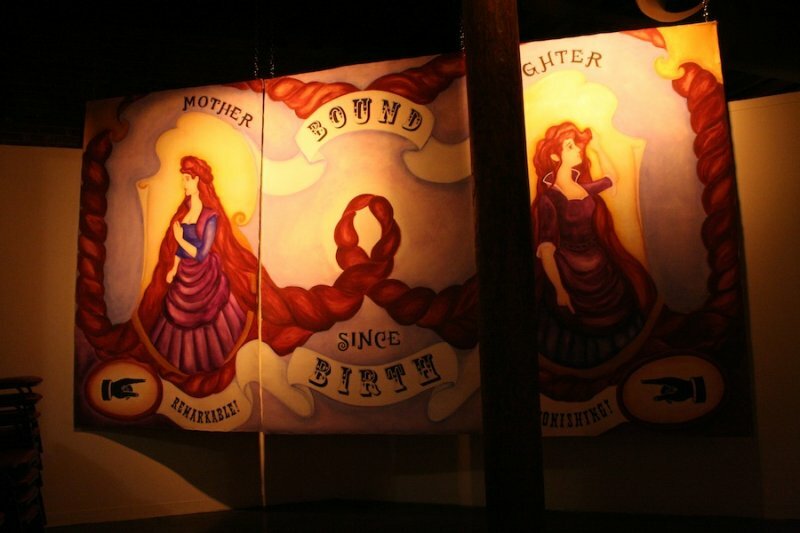 In an effort to appeal to a broader audience and further exploit the combination of entertainment, titillation and education, Dime Museums came into being with the opening of PT Barnum’s American Museum. These institutions were designed as centers for entertainment and moral education for the working class. 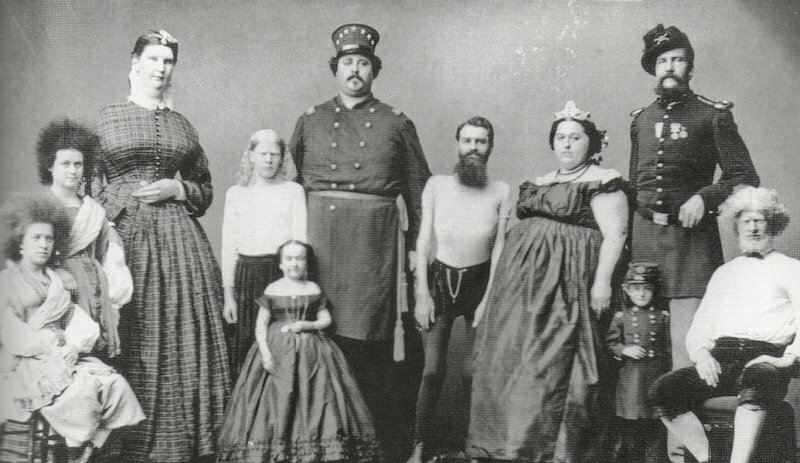 They were popular and cheap entertainment and provided moralistic education realized through sensational freak shows, theater, music, circus performances and many other means of entertainment. At the peak of popularity large numbers of Dime and Anatomy Museums were located in downtown New York in what is now the neighborhood around the Seaport, City Hall and Chinatown extending all the way up the Bowery. 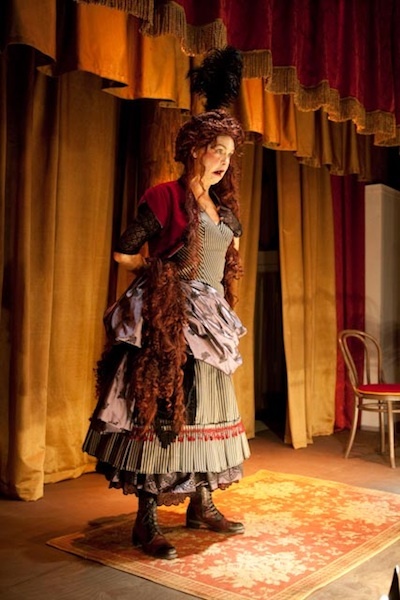 The style of performance used in A Slight Headache is expository and references conventions of public presentation, lecture, and Victorian Theatre, especially Melodrama. 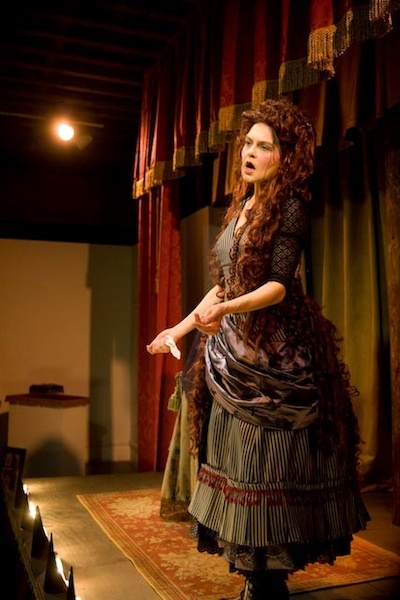 By the end of the 19th century, melodrama was defined as a specific genre of salon entertainment with rhythmically spoken words, often poetry. Melodrama was not sung but enacted with some dramatic structure or plot, and was synchronized to an accompaniment of music, usually piano. It was a genre most popular with the working class and was intended to embody in each expression and gesture the purest forms of emotions like love, fear, anger. 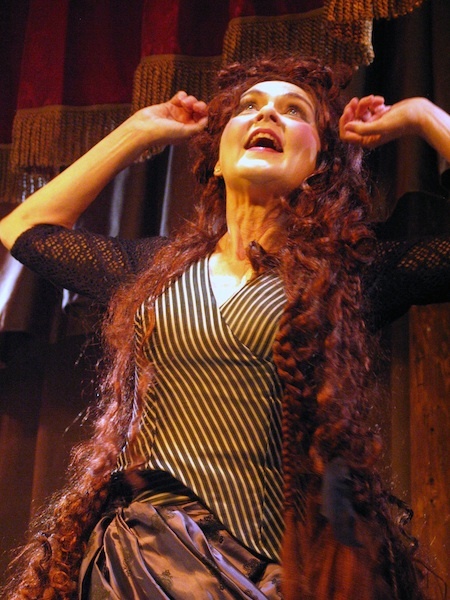 Indeed, it’s greatest practitioners could bring audiences to tears with the intensity and purity of their expression.